The PrecisionTx laser face lift is a one-time, minimally-invasive procedure that takes about an hour to complete. This laser contouring cosmetic surgery is performed in-office by Dr. Gina Farinholt and offers results that continue to show improvements for 3–6 months afterward. Much like the Cellulaze™ treatment we detailed a few weeks ago, the PrecisionTx laser face lift procedure uses laser energy to tighten and tone. Designed for the more delicate areas of the neck and jowl, this treatment offer noticeable results without the risk and costs of open surgery. It is also the only lasting procedure that requires very little downtime for recovery. To begin, Dr. Farinholt makes three tiny incisions placed, for example, near the bottom of an ear or underneath the chin, after treating each area with a local anesthetic. Next, she slips a thin tube containing a laser fiber beneath the skin through each of the incisions. Thermal energy is then applied directly to the subcutaneous layer of fat to literally begin melting it away. This fat is then removed with liposuction. The heated treatment also promotes collagen production which naturally tightens the skin while improving skin elasticity, thickness and texture. What makes this procedure unique is the ability to apply thermal energy beneath the skin. Previously, laser treatments could only be applied on top of the skin, which offered limited results so as not to damage the exposed skin tissue. By targeting excess fat within the jowl and neck, the PrecisionTx treatment works with your body’s natural collagen functions to create a more youthful appearance. As with all minimally-invasive, patients may experience pressure during the treatment and some tenderness at the incision sites after. These effects will subside rapidly, and most patients anticipate a full recovery in as little as one to two days. There are a few yoga-inspired facial exercises that can work all three layers of skin (hypodermis, dermis, and epidermis) to reduce wrinkles and maintain muscle tone. Try this one: Make an “O” shape with your mouth, then smile wide while keeping teeth hidden by lips and repeat six times. This one gets bonus points for also improving blood circulation and promoting a rosy glow. Releasing tension and working neck muscles can help reduce sagging skin. Make gravity work for you by lying on the bed, head hanging over the side. Then raise your head and try to touch your chin to your chest and hold for 10 seconds. Or, try rolling your neck to reduce tension and wrinkles in the throat. It’s old advice, but a solid sunscreen routine is key to healthy skin. Choose an easy-on SPF 30 for everyday wear under makeup. Be sure to step it up when spending time in the sun — and don’t forget the neck! Applying a retinol cream before bed can also help revive your younger-looking skin tone by boosting collagen production and smoothing the skin. 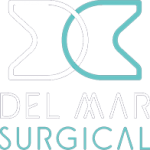 If you’re looking for an easy and effective way to tighten and tone your face, consider the PrecisionTx laser face lift procedure from Olde Del Mar Surgical. Ready to learn more about the laser face lift and other cosmetic surgery procedures offered by Dr. Gina Farinholt? 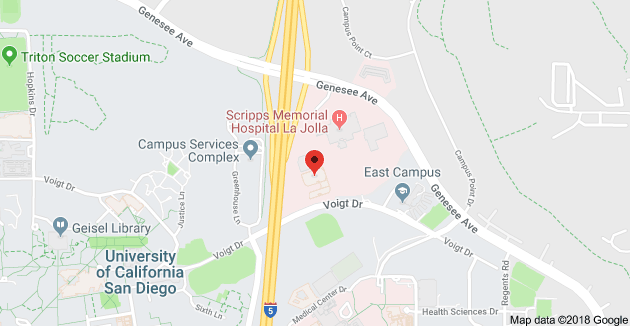 Schedule your consultation online or call (858) 457–4917 today.